Susan and James, a very nice nice couple from London (even if she’s from Ireland! ), have decided to set the ceremony, aperitivo, dinner and party around different locations of Borgo di Colleoli Resort: ceremony in the romantic tree-lined drive way, aperitifs by the lower panoramic pool, dinner outdoor in the courtyard cooked for “I secoli” restaurant, a sophisticated variety of dishes prepared according to traditional Tuscan recipes. 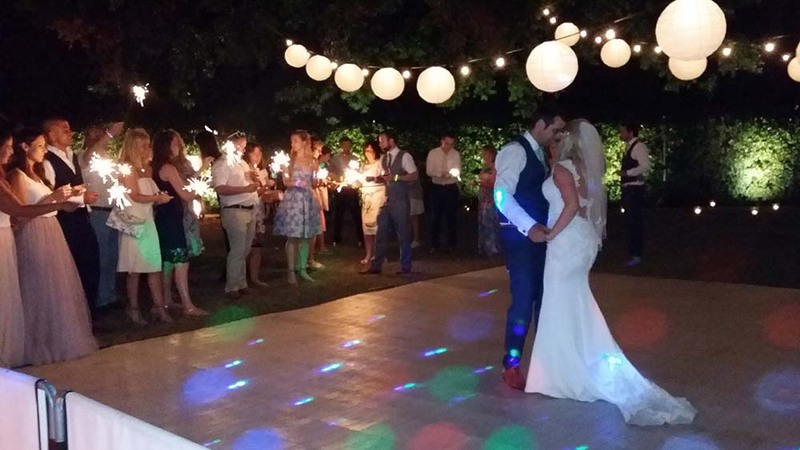 The after dinner dance party take place in the upper pool area, live music and dj set by Guty & Simone “the Italian wedding musicians and Djs”. Borgo di Colleoli wedding party: After the first dance, the beautiful and moving ballad “One day like this” by Elbow, the spouses and guests fill the dance floor all the evening dancing from the most famous Irish folk songs as “The Irish rover” by Pogues and Dubliners, “Galway girl” by Steve Earl, “Las Vegas (In the hills of Donegal)” by Goats don’t shave, “Wagon wheel” by Old Crow Medicine Show – to the best sing-along songs as “Wonderwall” by Oasis, “New York, New York” by Frank Sinatra – to new folk rock hits as “I will wait” by Mumford and sons or “Ho hey” by Lumineers – to rock ‘n roll, disco music, latin music and so on. In addition to live performance, everybody enjoy also the DJ sets with all more modern genres such as R&B, Hip Hop, EDM as well as the latest chart hits: no breaks and music that doesn’t stop until the end of the evening. 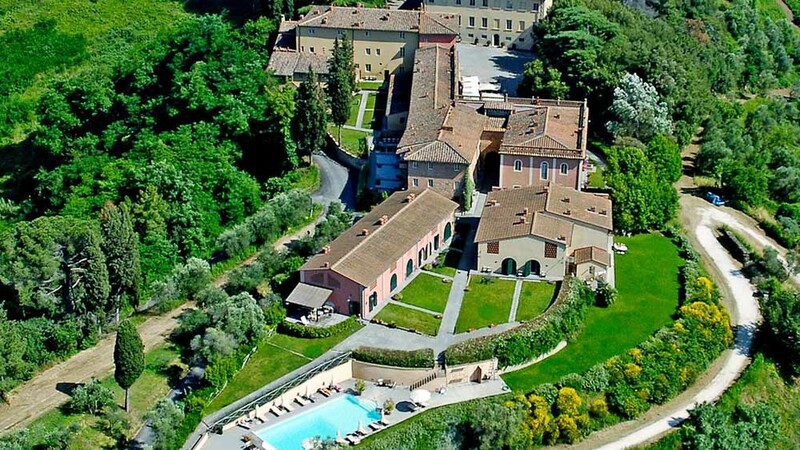 Set in the Tuscan hills, Borgo di Colleoli Resort – Via Panoramica, 20, 56036 Colleoli PI, Italy – is a historic group of buildings from the 15th century; its large grounds include 2 swimming pools and a summer restaurant and wine bar in the central courtyard. The venue is completely pedestrianised and it provides free parking and golf cars for getting around the property. Borgo di Colleoli Resort is 2 km from the medieval town of Palaia and 13 km from Pontedera, the resort is located at the country side which makes it perfect for relaxing and feeling the nature that surrounds you. In addition, it’s perfectly located: just 35 mins drive from Pisa airport and near enough to many cities, such as Pisa, Lucca, Florence, Siena and San Gimignano. Tuscan landscapes, hospitality, food, happiness, good music and dances, everithing made a perfect day for a Borgo di Colleoli wedding party! 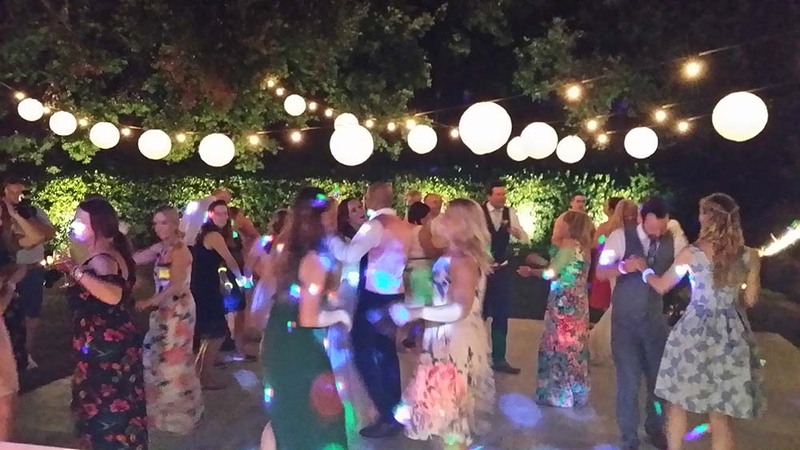 In the pic below a moment of the party at Borgo di Colleoli resort (the first dance). Here another moment of Borgo di Colleoli wedding party. Let’s party!